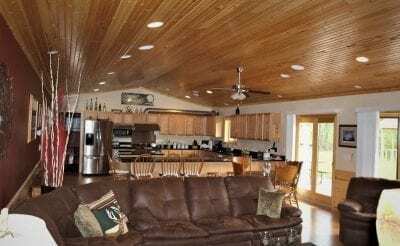 WHAT IS A POLE BARN HOUSE? 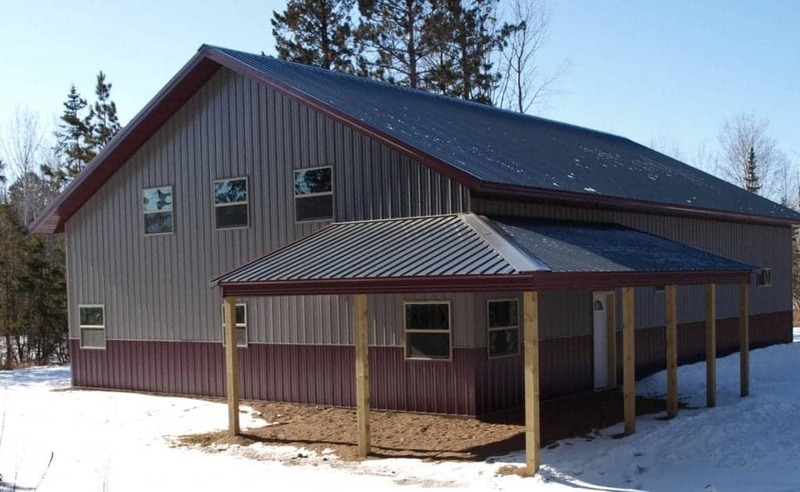 A pole barn house (a.k.a metal building home) is a residential building that uses post-frame construction. Poles can either driven into the ground or secured above ground. The poles support the trusses and the roof (in conventional homes the walls support the roof). Therefore your pole building home will not have any load-bearing walls, and gives you design freedom with wide a open space to start with. When designing a pole barn house, you have a lot of flexibility in the internal arrangement of spaces. 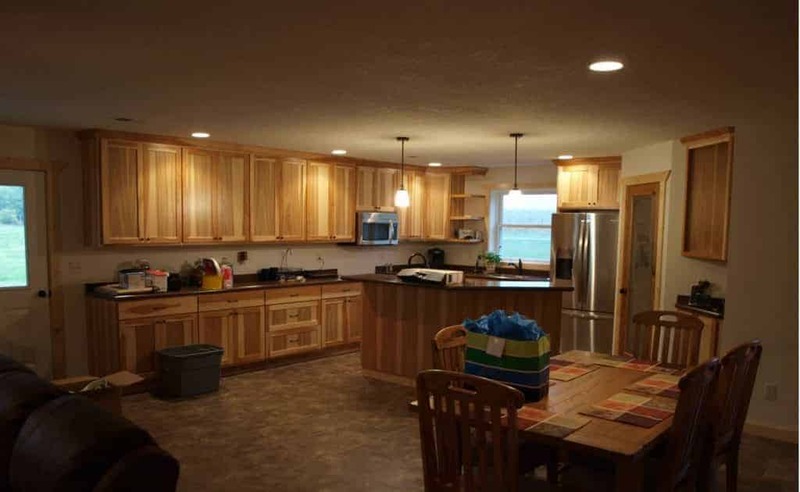 The open floor plan can be adapted to address any requirements that a homeowner will have. 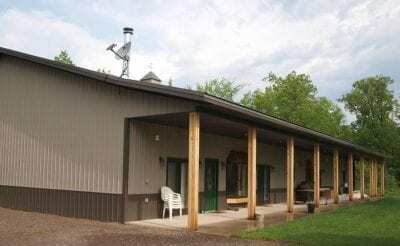 Even though most metal building homes have steel for exteriors walls and roof, you can have a pole barn house that could have conventional siding and roofing that would match any other home in your neighborhood.Pole barn homes generally employ wood or metal siding, but you can use stone or cement panels too, but that might require additional structural modifications. Pole barns also work great as garage guest houses, schools, churches, hockey rinks, and retail, office, or warehouse space for businesses. Like conventional homes, the cost of a metal building home will depend on a lot of different factors. 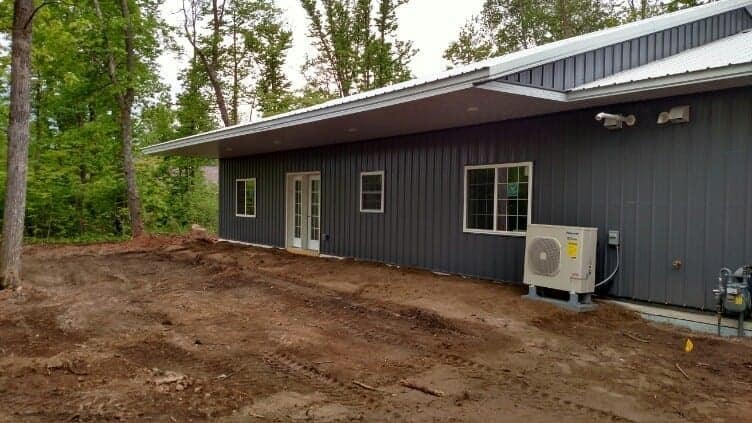 Metal Building Homes are cheaper than building a conventional custom home, with similar or greater latitude with pole barn home plans and designs. Compared to a conventionally built home, labor and materials cost less for a Sherman Builders post-frame home. Adding extras are often easy and affordable without substantially raising the overall cost and it costs less to maintain the exterior. 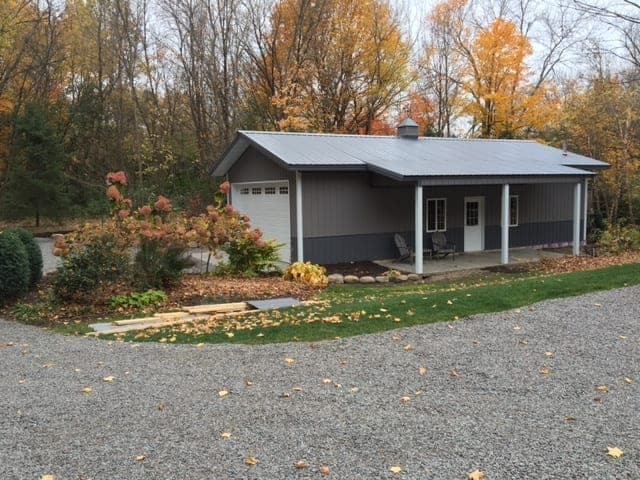 The pole barn house construction process is more simplified and much faster than building your standard home. 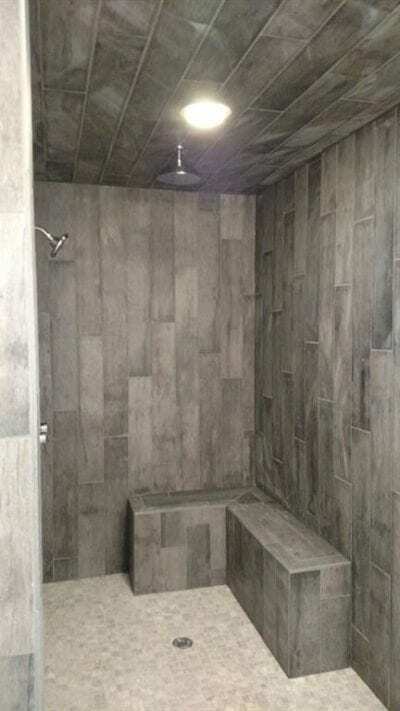 Yet you will still need to hire a contractor or builder to handle the construction process for you – and that’s why Sherman Builders is here to assist you. Sherman Builders post-frame homes go up much faster than a traditional homes. 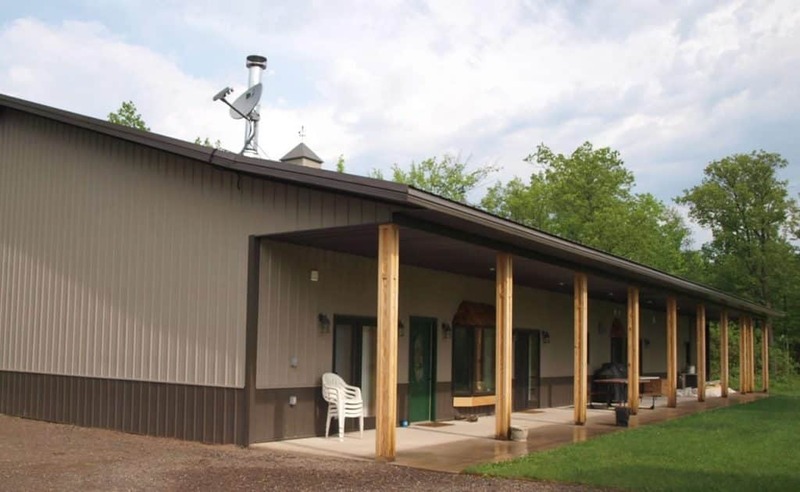 Steel roofing and siding is also faster to apply than conventional home exteriors. First check into the zoning and building code requirements for the city and county where your residential pole building will be constructed. 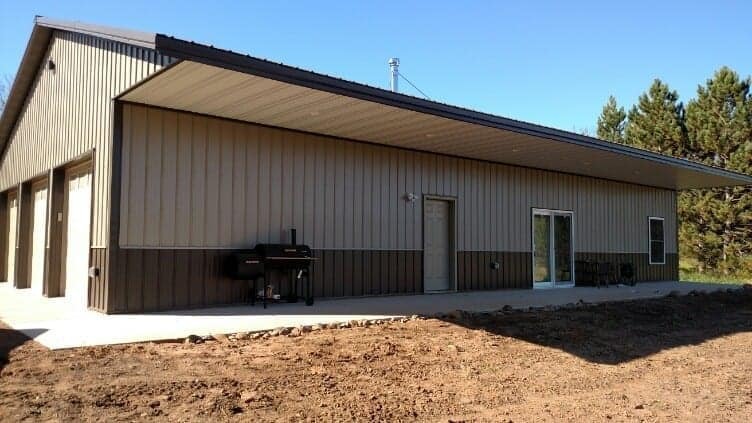 Be sure that your property is zoned for your Sherman Builders metal building home. Then have your preliminary house plan ready when you talk with your Sherman Builders representative. There are many resources available online to help you find your ideal building plan. 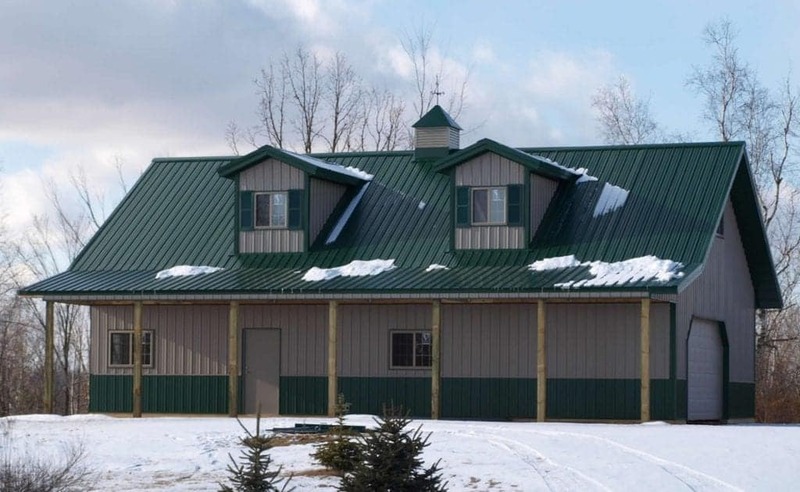 Wondering: How Much Does a Pole Barn House Cost? Our residential pole building home developers can answer all your questions and guide you through the entire process from start to finish. Whether you call it a barndominium, a shouse, a shed house, or a pole barn home; we’ll help you make your dream come true. Design freedom and cost savings are common with a post frame home. Pole barn houses are affordable and offer a multitude of custom design options. Retail, office space, warehouse, or some of each. Customized and affordable pole buildings for business. 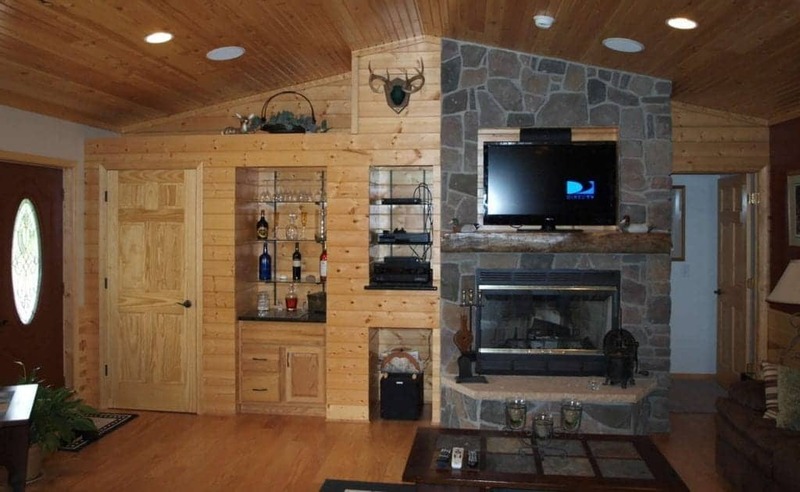 From lake homes to hunting cabins and everything in between. Storage for vehicles and equipment in one part, housing in the other. The variations are endless. The layout and design can be virtually anything you desire. There are a lot of considerations and decisions to be made and we’re happy to help you with the process. Learn more about how Sherman Builders can create your dream home or cabin. Sherman Builders is our home builder and real estate development division. Post-frame construction is affordable, functional, customizable and appealing option for building beautiful homes. 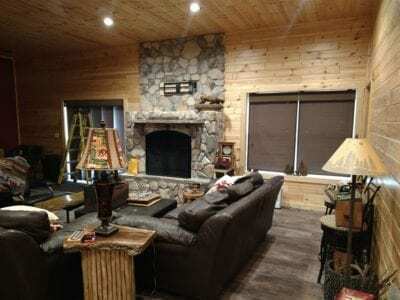 In addition to the traditional home design, some people have cabins with attached storage or work shops with a smaller living space connected to them. It’s your custom design, however you want it! Sherman Pole Buildings has been raising the standard of pole building construction since the start of the business in 1976. 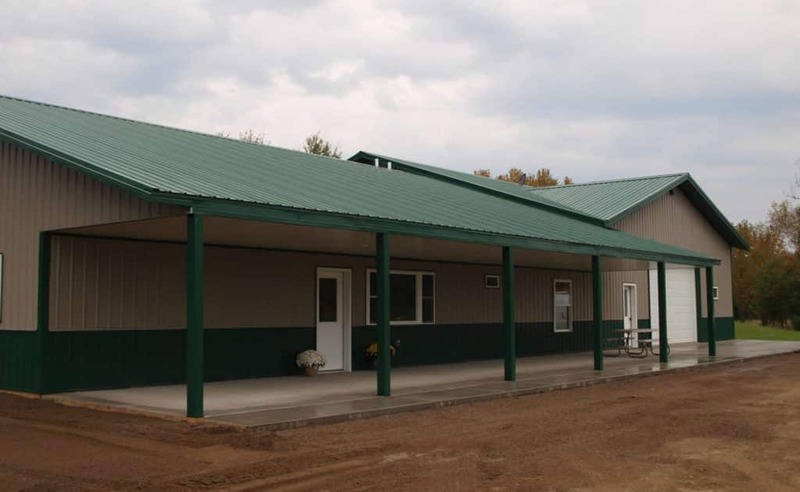 Our specialty is in residential, commercial, and agricultural post frame buildings.